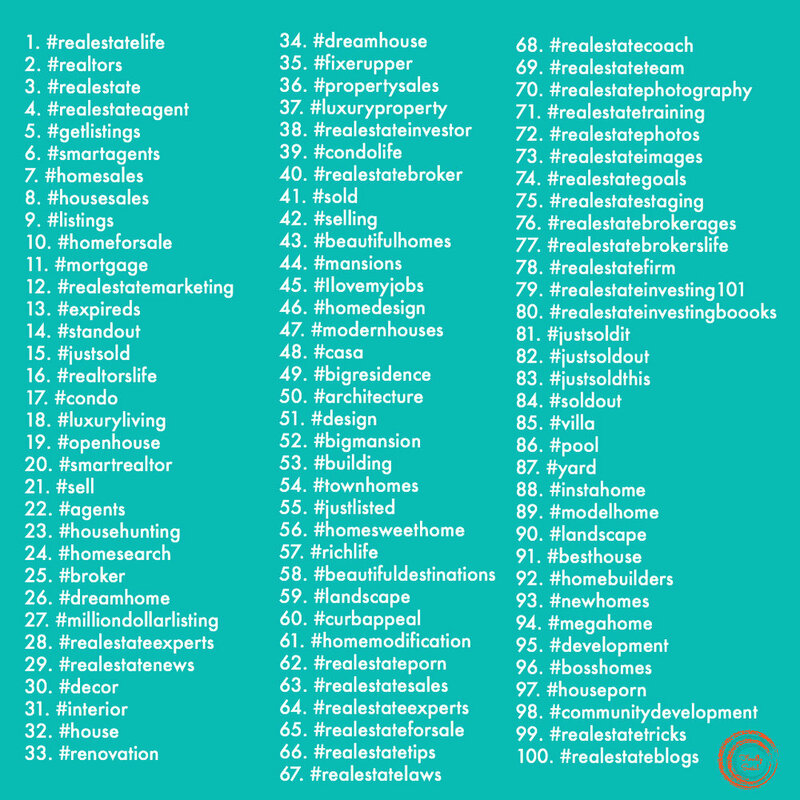 Real Estate Hashtags — Finally Social - Marketing. Social Media. Branding. Websites. Logos. There are a few ways to save this information depending on your preferences. To save the graphic simply right click and save, if you want to download a copy and paste ready Word Document you can do so by clicking the link, "100 Real Estate Hashtags", and lastly if you prefer a PDF, you can download that as well by clicking here.